In June 2017, my wife, two teenage kids and I spent a week in Southern California. We drove down to Hollywood the first night to see the sights (here's a link from last week). A few months earlier, Newport Coast Villas, asked if we'd like to come down for a time share presentation. I know time share presentations get a bad rap, but we will willing to give it a shot. The good people at Newport Coast Villas were kind enough to schedule the obligatory 90 minute time share presentation our first morning there. 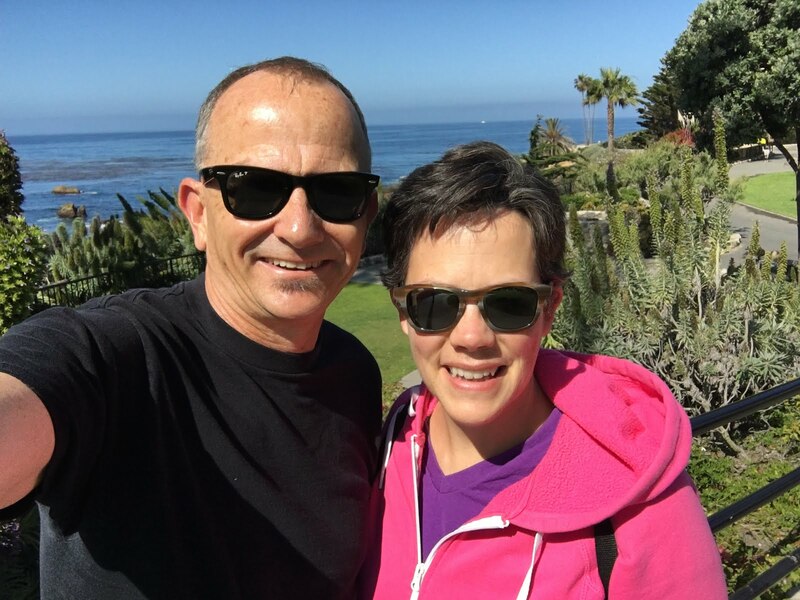 My wife and I time to enjoy an hour or so for a walk along the bluffs at nearby Laguna Beach. Coastal Southern California can be surprisingly cold and foggy in both May and June. Hence the terms "May Gray" and "June Gloom." That's actually what we were expecting. Instead, we were fortunate to experience some pretty fabulous "chamber of commerce" weather. Sunny skies and warm, comfortable days. 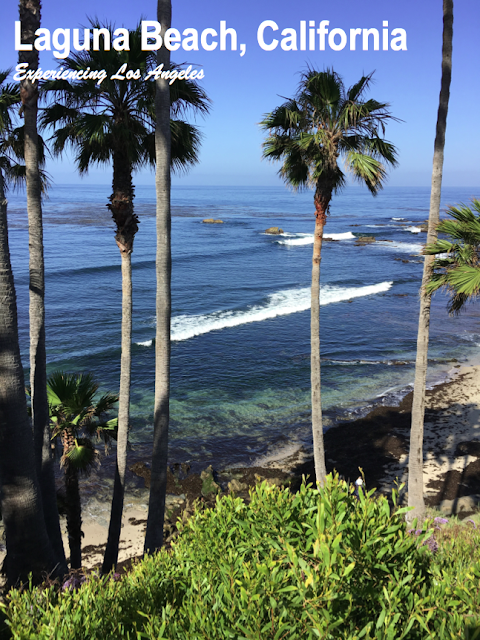 We had forgotten how beautiful Laguna Beach was. The city has a beautiful park along the bluffs overlooking the coastline. 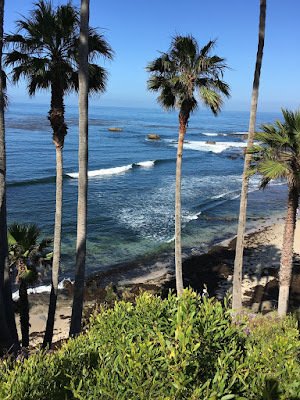 These photos were taken walking along Heisler Park in Laguna Beach. Although it can get crowded, especially on weekends, it was very mellow on the morning we visited. 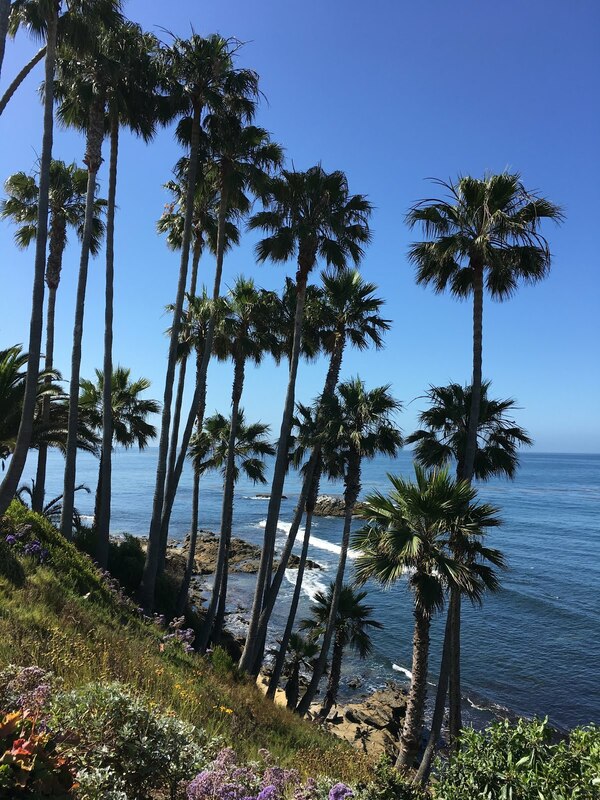 While palm trees are not native to Southern California, they still look pretty great. 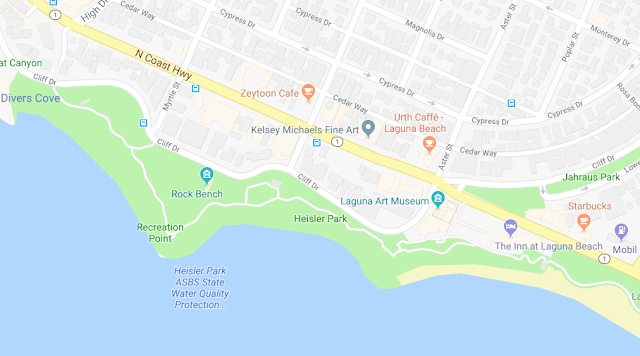 Laguna Beach prides itself on it's artist community, various art galleries, and and public artwork. Above, a colorful mural near the main beach. We had a 10am appointment for our time share presentation, so we headed back to Newport Beach. 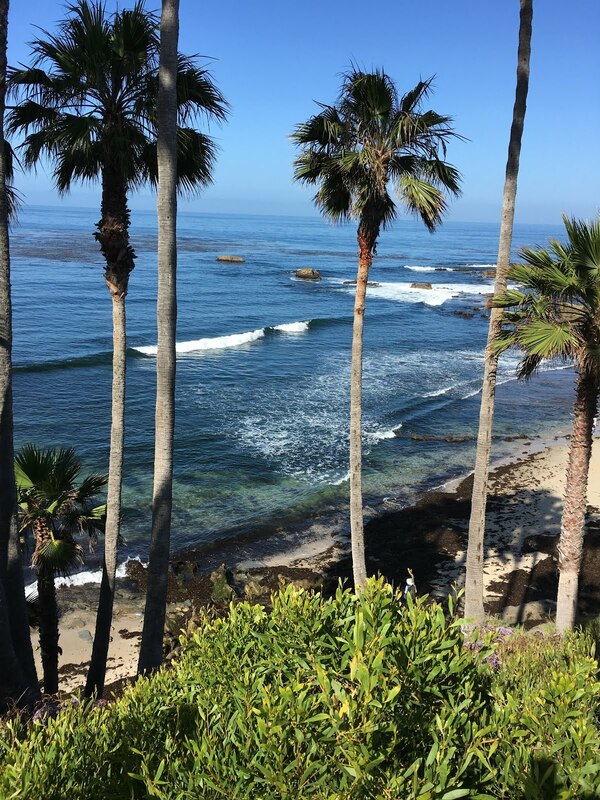 Another view from the Newport Coast Villas. The presentation included walking around the resort property. 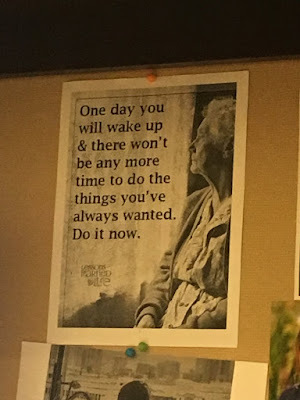 During our presentation, I noticed this on the wall of the office where we were meeting. Laguna Beach flashback photo. 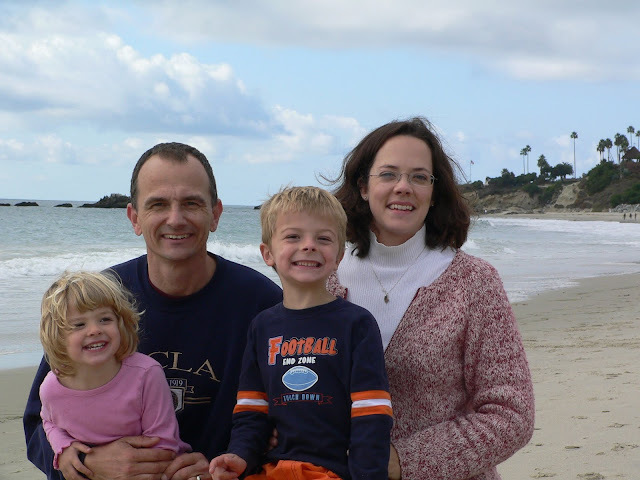 This was 12 years earlier, back in Fall of 2005, when our kids were just five and three. 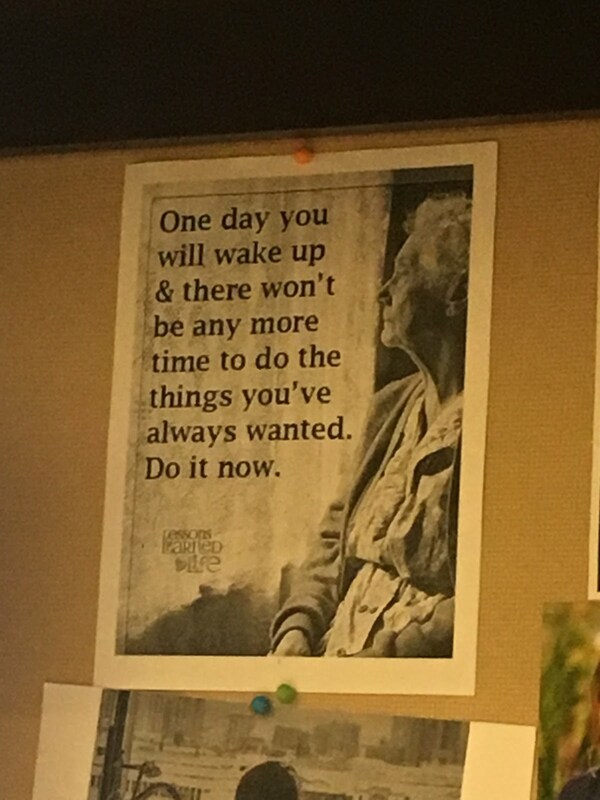 I'm reminded of the quote on the wall: "One day you will wake up and there won't be any more time to do the things you've always wanted. Do it now." That afternoon, we drove down to "Big Corona" - the beach at Corona del Mar, a couple miles from where we were staying. More next time.